Although guardian angels are constantly nearby, they're usually invisible because they are spirits without physical bodies. When you contact your guardian angel through prayer or meditation, you usually won't actually see your angel, but sometimes they will physically manifest before you or send you visual signs or shadows of their presence with you. Most often, your guardian angel will appear visibly in the form of light, since angels contain energy that works within light rays. Seeing flashes, streaks, or glowing orbs of light while you pray or meditate can indicate your angel's presence. Guardian angels usually appear as white light, the color you'll see most often when communicating with them. However, another color of light may appear. That may be because your guardian angel is sending you a visual message using a color symbolic of something about which you've been communicating, or because your guardian angel is asking another holy angel who works within the light ray corresponding to the topic you've been discussing to respond to your prayer or meditation. You may see a shadow of your guardian angel while you're praying or meditating. Shadows usually appear as the outline of a figure nearby. Your guardian angel may send you a visual message about what you've been discussing by causing an image symbolizing a certain meaning to show up for you in a vision. For example, if you've been praying or meditating about one of your children, your guardian angel may send you a vision of that child to encourage you. Pay close attention to any symbolic images that your guardian angel sends and ask your angel to clarify the meanings of those images to be sure that you've understood the messages they're meant to convey. Keep in mind that specific numbers, colors, shapes, and shadows you see may have symbolic meanings. If you spent time in prayer or meditation with your guardian angel before falling asleep, your angel may continue to communicate with you while you're sleeping. Your angel may show you symbolic images, like the ones you may see in visions while you're awake, or your angel may appear​ in your dreams. Usually, when your angel appears in your dreams, you'll recognize the angel, even if you've never seen them before. You'll have a clear, deep understanding that the figure you see is your guardian angel. Your angel may appear in your dreams in human form—as a wise teacher, for example—or in heavenly form, with a glorious, angelic appearance. When your guardian angel is trying to communicate something especially important to you, your angel may fully manifest into the physical realm and appear to you as a human being or as a heavenly angel, perhaps with wings. 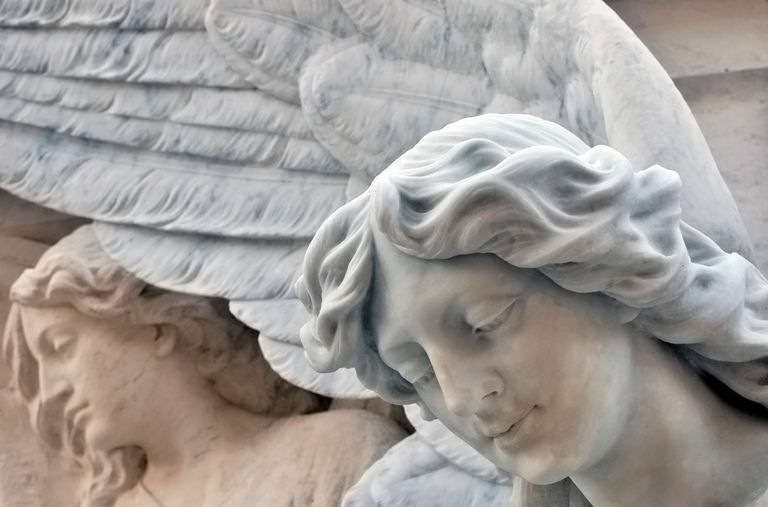 You may be surprised if your guardian angel looks different from how you may have imagined them. Let go of whatever expectations you have about your ​angel's size, features, and clothing, so those details won't distract you. Focus on enjoying the blessing of a visit from your guardian angel and the visual message your angel wants to communicate to you.